The EMBUA Executive Board has set the meeting schedule for the 2019 season. There have been several changes and additions, so please review the information in this notice carefully. This year’s Annual Banquet will be held on March 26, 2019, at the Irish American Club on West Street in Malden (behind Devir Park on the Fellsway). Cocktails are at 6:00PM with the dinner beginning promptly at 7:00PM. The annual dues will remain/has been set at $60.00. Also, a reminder that all dues MUST be paid by the second meeting per the by-law change that was adopted at the 2018 Business Meeting. Those late with their dues payment will be assessed a fine. In order to avoid long lines and to speed up the dues paying process, you are encouraged to mail your dues to Treasurer Tom Ryberg, 48 Bowker Road, Waltham, MA 02453 or pay through PayPal. Please go to the Association website (www.embua.org) and check that all your contact information is correct. Make any necessary corrections and be sure to save the corrections; especially your email address and telephone number. If you experience any problems logging in or correcting any information, please contact Secretary Don Dabenigno for assistance. There will be two (2) Harland “Sonny” Robins Scholarships of five hundred (500) dollars each; one to a son and one to a daughter of a member in good standing and/or members who are in good standing and who have been accepted to, or are currently enrolled and working toward an undergraduate degree. Application forms are available on the EMBUA website (www.embua.org). If you feel your son or daughter qualifies (graduating from High School through junior year in college) please fill out the application on the website and return to Don Dabenigno at a meeting. The scholarship recipients will be selected at the Annual Business Meeting on April 23, 2019. Applications must be received by April 16. 2019; no exceptions! The Executive Board has set the requirement regarding meeting attendance for the 2019 season. 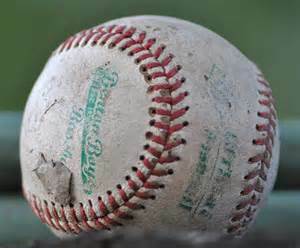 At a minimum, each member must attend four (4) of the eight (8) scheduled meetings for the 2019 season. Each member must attend one meeting in February or March, one (1) of the April meetings and one (1) of the May meetings. The member’s fourth meeting may be any of the remaining meetings. Note, attendance at the annual banquet will not be counted as attendance at a meeting. Meeting attendance will be taken after each meeting. It is the responsibility of each member to see that the Attendance Monitor checks their name off. Those members who are unable to meet the attendance requirement MUST notify the secretary in writing (email is fine). This will be thoroughly explained at the membership meetings. There is a new membership designation; “retired”. This membership status is for any member who has retired from actively umpiring games and is a member in good standing. This membership will afford the member all the rights and privileges of an active membership designation. If you would like to be listed as a retired member, please contact Don Dabenigno. Dues for a “retired” member is fifty (50) percent of the annual regular dues; for 2019 $30.00..
All members planning on umpiring high school games (varsity, JV or freshman) are required to register with the MIAA and the MIAA requires all game officials to complete the NHSF Concussion Test prior to the season. You can access the MIAA registration information and the Concussion Test login address by going to the members section on the Association website and locating the appropriate tab. The pre-season test will be reviewed at the March 18, 2019, Membership Meeting. Be sure to take the exam in advance and bring it to the meeting. If you know anyone who is interested in becoming an umpire, please direct them to the information on our website; embua.org. The Clinic will begin February 10, 2019. John Ventura will again be at our meetings for anyone needing to replenish their equipment and/or uniforms. Also, we have made a connection with New Balance that will allow members to purchase plate and base shoes at a discount. A separate notice will be sent about this program. Evaluations for interested members will take place March 30, 2019. More information will be distributed at the regular meetings.